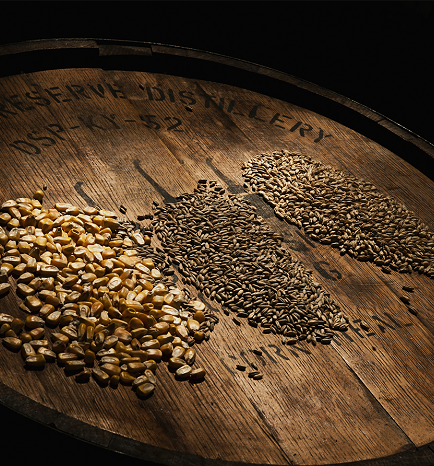 It is the alcohol obtained from the distillation of rectified and fermented musts of grain, malted or not malted or from a mixture of both. Grains such as corn, wheat, rye, barley, oats or rice are often used for its production; it can also be made by a blend of grains. Before the fermentation, the cereals are diluted and cooked, then the starch is decomposed; the ethanol production will depend on this process, and so will do the alcohol degree therefore. When the fermentation is over, the resulting broth would be distillated through continuous procedures of plate columns; this product will reach a minimum alcoholic strength of 96% vol. The final product is called grain alcohol if it comes from a single cereal, and cereal alcohol, if it comes from the mixture of different types of grains. The distillation of cereals results in a high quality product which contains less impurities because several distillations are applied, the final alcohol obtained has a higher fineness.